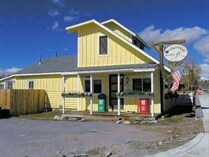 As long-time viewers of the famous Gold Rush series on The Discovery Channel know, the Gold Rush Crew has been filming here in the Fairplay/Alma area going on 2 years now. They're filming their new season here now and we hope to see our wonderful country on the Gold Rush Series on The Discovery Channel sometime this Fall. 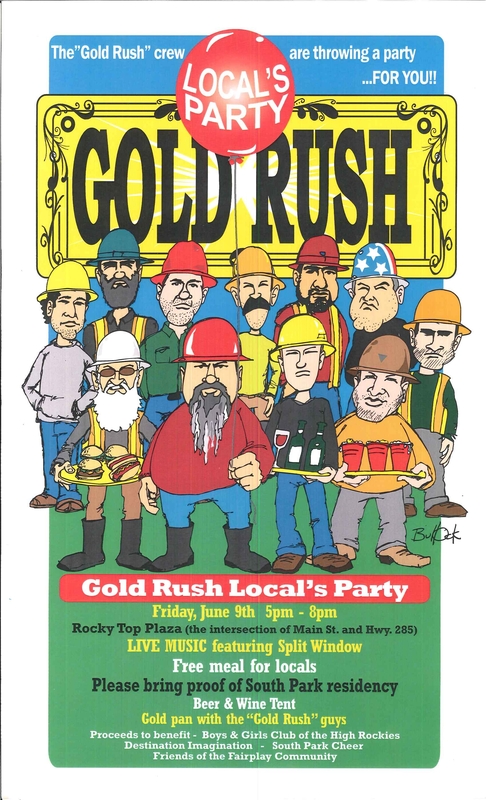 The "Gold Rush" Crew want to thank all the locals for their support and are holding a "Local's Party" on Friday, June 9th from 5 PM to 8 PM in the Prather's Market/True Value/South Park Brewery/NAPA Auto Parts/Dorothy's Tamales and Bakery parking lot (aka Rocky Top Plaza). There will be live music featuring "Split Window" and free meals for the locals (just bring your ID). A Beer and Wine Tent will also constructed. Come by to meet the "Gold Rush" Crew and have a great time! All proceeds will benefit the Boys & Girls Club of the High Rockies, Destination Imagination, South Park Cheer, and Friends of the Fairplay Community.